Google announced at the start of the year that their Assistant was available on over 400 million devices, including smartphones, TVs, and their very own home hub device, Google Home. They’ve also launched this in multiple international markets, from France to Japan, and are now offering voice assistant in eight languages globally. And with Global Web Index claiming that 1 in 5 adults online are using voice search on mobile each month (over 300 million people), it’s hard to see this trend slowing down anytime soon. But what does it look like on an international scale? The fact that Amazon Echo dominates market share in the UK for voice hubs, selling 4.4 million units in its first year of sales, would suggest the trend continues globally. However, Echo is only available in countries that rely on English, German or Japanese language skills, selling on .com, .co.uk and .de platforms. Amazon has announced that they are expanding internationally to offer Echo in an additional 80 countries, including Belgium, Croatia, Poland and Ukraine. So, what does this mean for digital marketers? 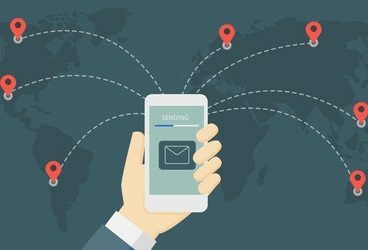 It’s clear on a global scale that Amazon and Google voice hubs are dominating search worldwide, so we need to look at country-level to find out specific insights. Here at Search Laboratory, we are always looking to test new products and technology theories, and voice search is no different. 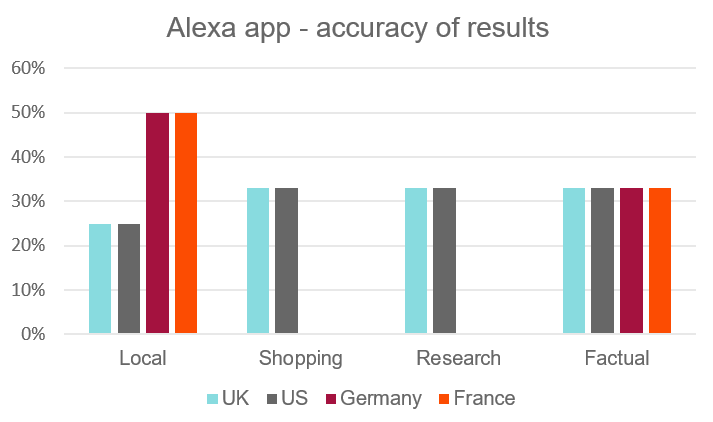 We looked at six global markets across five languages to discover any insights into how we can optimise internationally for voice search. These markets were chosen based on their online spend and internet usage. Google Home remains the most prominent across all markets, and it only launched in Italy on 27th March this year. Google Trends shows a significant rise in interest since the start of the year. Note – as of 6th June 2018, Amazon Echo is now available in France. Germany is the only international market that has Amazon Echo available to buy in-country and they will also see the release of the Apple Home Pod by summer this year, making them the most relevant market for voice search apps and virtual assistants. Apple Home Pod is only available in English speaking markets (US, UK, AUS), and we’ve seen no hard evidence to suggest they plan to launch in other countries and/or languages other than Germany and France this year. Amazon Echo announced plans that they will release the Echo device in Italy by the end of summer 2018, with Spain set to follow in late October. Amazon has previously been restricted to English, German and Japanese speakers selling on .com, .co.uk and .de platforms. They now have plans to expand its Echo to 80 additional countries including Belgium, Croatia, Poland, and Ukraine. 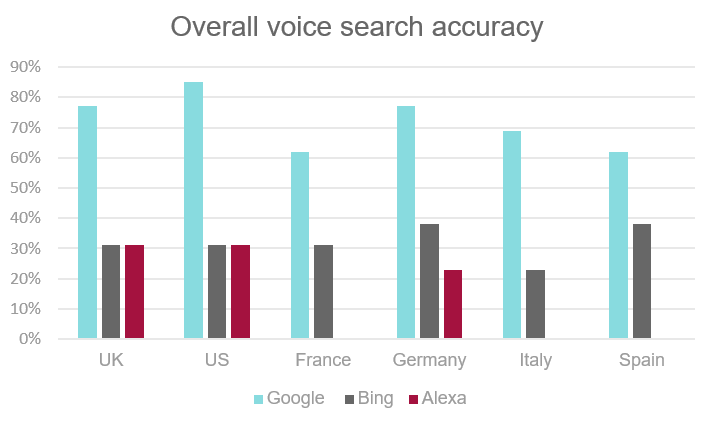 This helps explain the distribution of interests and dominant searches made across the globe regarding voice assistants. The fact that Amazon Echo and the Apple Home Pod use Bing as their default search engine is an important factor when marketing online at an international scale. As previously mentioned in our post about voice search – 5 things you should do right now – Google uses the quick answer box to deliver responses to questions. 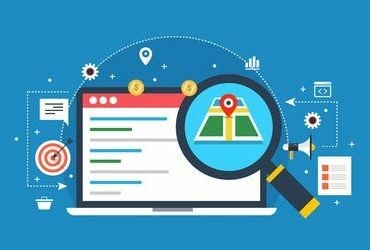 There are ways brands can structure their content on-site to have a chance of appearing in the answer box and we’ve seen a rise in the number of featured snippets appearing in international SERPs. This shows a huge opportunity for brands in Europe to spot the gaps and exploit them to increase traffic. Bing, on the other hand, does not use a quick answer box and this can cause some inconsistencies in results when using multiple apps or hubs for voice search. 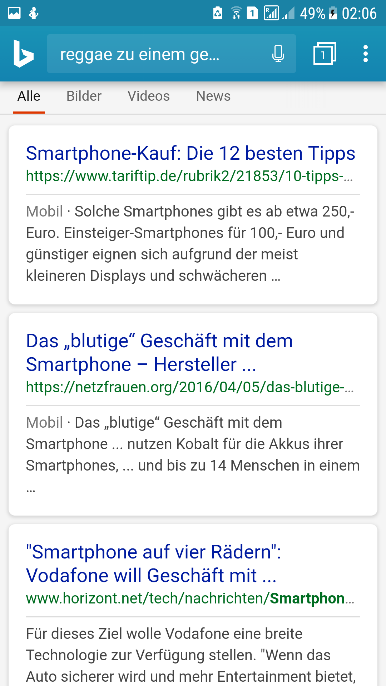 We tested voice search apps on smartphones (in-country), looking at Google Assistant, Amazon Alexa app and the Bing app. We wanted to test the accuracy of results, language limitations and overall user experience. NOTE: The Amazon Echo app is not currently available in France, Italy, and Spain. 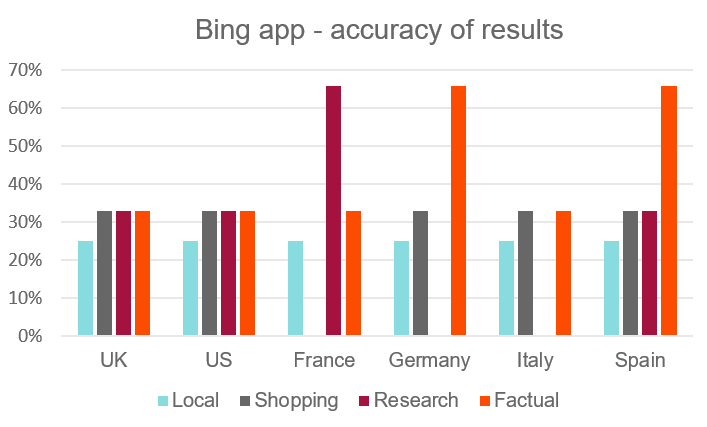 Just looking at the difference in accuracy across Bing and Google, we see that Bing is consistently low across all languages, whereas it’s clear with Google that English and German are much more advanced. Whilst the results for Italian and Spanish are still relatively high compared to that of Bing, significant improvements need to be made. But which queries are causing the most errors in the SERPs? 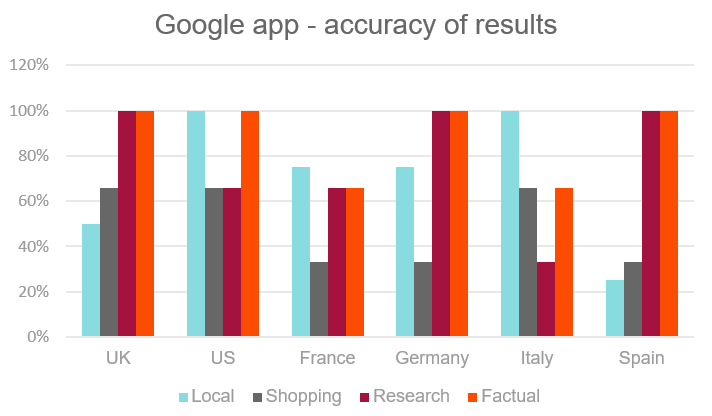 Surprisingly, local results for the UK differ in accuracy. When looking into the reasons why it can vary massively. 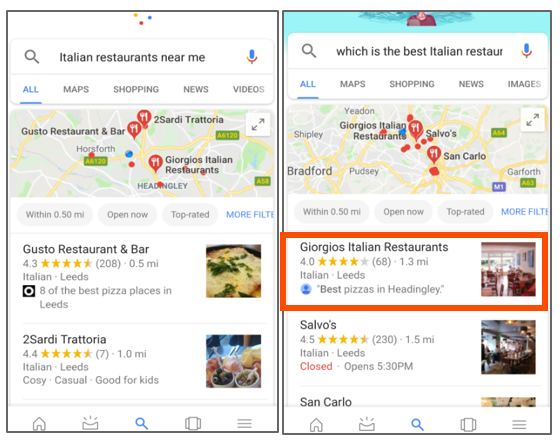 For example, when asking the Google App in the UK for “Italian restaurants near me” it shows the correct listing; these restaurants are very much nearby and very much Italian! However, when asking “which is the best one?”, interestingly it changed the query and recognised that it’s still referring to Italian restaurants, but it’s changed the listings. Problem is, Google now displays that Giorgio’s is the “best” however, they have fewer reviews and fewer stars than Gusto’s (my original listing). When looking into the reasons why it appears that it’s only chosen Giorgio’s because it has the word ‘best’ in the reviews. 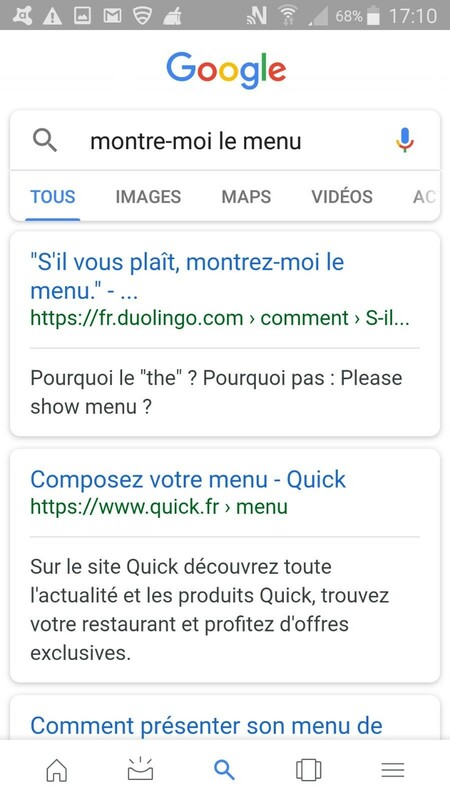 Meaning it can be easy to manipulate the SERPs at the moment for voice search. 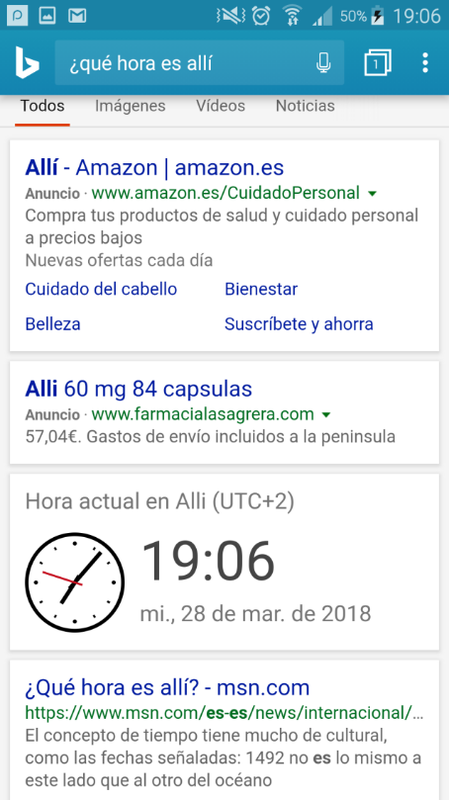 Another example of an incorrect listing was found when testing the Google app in Spanish. When asking the app “which is the best one”, the results show other Italian restaurants in a nearby city (and not in the right order). 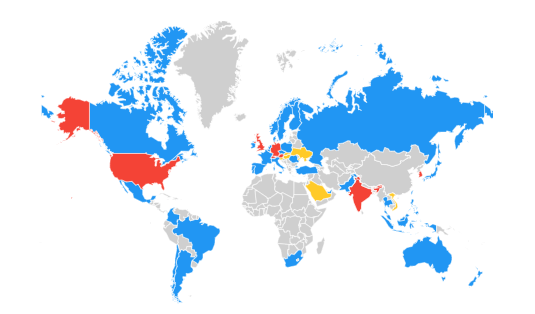 Another interesting observation from our tests, was that compound questions, such as the example above, work consistently on Google apps across the US, UK and Germany. However, the French test did not support compound questions and there were numerous instances where there was a need to re-write the query. For example, when asking “show me the menu”, this did not answer the question at all. The results came from a language learning software company and a restaurant (that is not Italian) asking you to choose your meal. Bing is consistently low in terms of accuracy across all languages. The most notable of difficulties is that of compound questions – Bing does not support them. 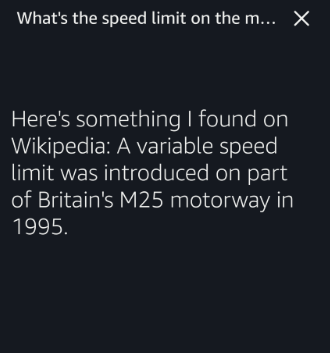 It also does not support featured snippets, so when asking specific questions such as “what is the ideal broadband speed”, it returns a broadband company’s product pages. However, in Germany, the factual questions were correct 100% of the time but only after numerous searches. When testing local queries in German, we found that questions needed to be re-phrased to contain fewer words. The German language is known for long words and complex sentence structures and we are seeing Bing struggle with this at times. When asking Bing in German “directions to the nearest store” after browsing products, it automatically changed the query and added the word “reggae” – for no apparent reason – and gave irrelevant results. Alexa was, by far, the most inconsistent when it came to all languages. Alexa also uses Bing but displays on a different platform. It’s surprising that this result has been shown, as there is another page on Wikipedia which directly answers this question. Alexa is designed to work with apps that do voice commands (music, TV, heating etc.) but it has a long way to go before people can replace their smartphones or laptops. Overall, Google Assistant appears to be the most reliable across all markets, but the problems lie in shopping and local queries. Bing displays Amazon listings for shopping queries, which helps to improve the overall experience, however, the inability to understand compound questions is a turn-off. 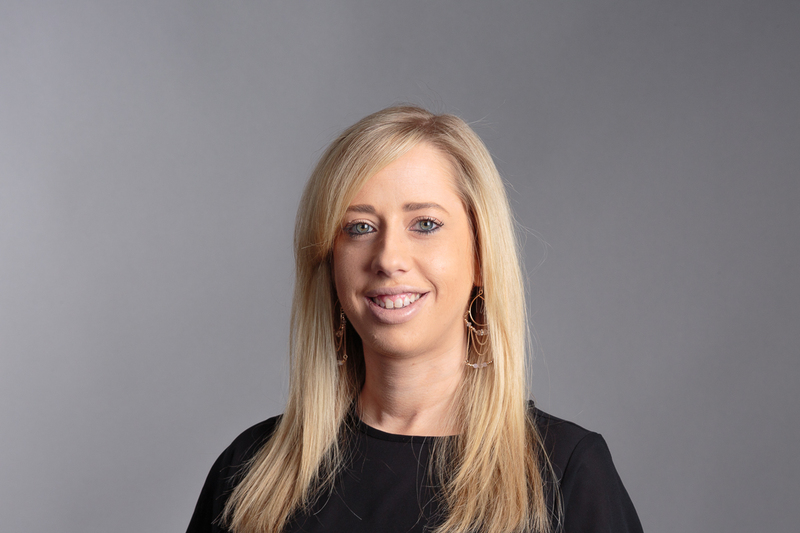 For brands to be prepared for the inevitable rise in voice search product availability and usage, the focus needs to be on spotting opportunities to rank in the Answer Box for relevant queries and building out content pages on the site that match that of the buying journey. France, Spain and Italy are the markets with the biggest opportunity, whilst Germany, US and UK are leading the way in terms of functionality and results. 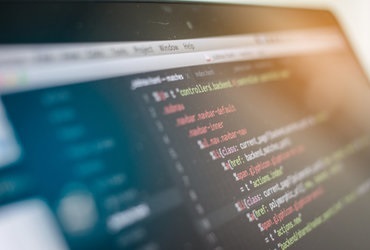 If you would like to find out more about how you can optimise your website internationally, please get in touch, or check out the rest of our international search resources here.